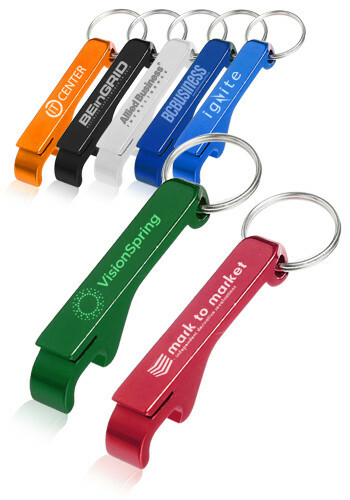 Imprinted Price Includes: Includes Unlimited Colors or Any Other Applicable Imprint Method Such as Laser engraved. Another fantastic job by BelPromo...thank you! I love the key rings. I just wished you had other colors in stock at the time of order. Imprint is great. This is a great little product at a great little price. That only does it open beers and sodas metal caps but the leather at the bottom pulls up the rings on soda cans and Pet Food cans.